If you have ever suffered with insomnia, you know it can take over your life. Trying to solve your sleep dilemma on your own can be daunting. I often find that my patients with persistent sleep troubles have tried many things that don’t help at all. I understand how frustrating this can be. In this article, you will learn 11 hidden causes of insomnia and discover what you need to do to sleep well. The truth is, our bodies are meant to work in sync with the natural rhythms of the earth. For instance, when it gets dark outside our body should begin preparing for sleep. For our ancestors, it was that simple. Modern society just isn’t the same environment and the sleep issue is becoming more complex. As a holistic health expert, I understand that any dysfunction of the body results from interference. There are many things today that interfere with our ability to sleep in modern times. For true healing, interferences must be removed first. This is definitely the case when it comes to overcoming insomnia. 1. Not Prioritizing Quality Sleep! This may seem obvious to many people but poor sleep often comes down to priorities. Many people seem to associate getting consistent quality sleep with being someone who is unsocial or high strung so they prioritize late nights with friends or on social media. The truth is, getting solid rest every night will boost your energy and your mental acuity which will improve many areas of your life, including your social life! You have to sit down and rationally think about the behaviors you identify with and how they may be sacrificing your health. Hopefully by the time you finish this article you will better understand why seemingly unrelated issues can be destroying your sleep big-time. If health and performance are important to you, it may be time to reprioritize your daily habits. It seems that every year we learn more and more about how amazing sunlight is for our health. Beyond lighting our world and helping us make vitamin D, it actually helps regulate our sleep cycle too. What I mean by this is that getting sunlight during the day, and especially early in the morning, helps the body understand the difference between day and night (1). This signaling helps the brain regulate certain hormones in the body that are responsible for waking us up and helping us fall asleep at night. The result? Consistent and restful sleep that comes naturally. Without proper light exposure we are much more susceptible to developing insomnia. Getting sunlight shortly after waking up and throughout the day will help control your sleep cycles. Also, don’t forget to put away all the electronics and artificial lighting at home as it starts to get dark outside. Artificial lighting will trick the brain into thinking it is still daytime. If you want to get optimal sleep, your bedroom must be optimized for doing so. There are several factors in the bedroom that must be addressed in creating a great sleep environment. The first thing, and this is huge, is only using your bedroom for sleep and intimacy. The human brain is always looking for ways to make our behaviors more efficient and it does so by associating habits with the place they are performed. You want your brain to recognize your bedroom as a safe and relaxing place as much as possible. If you are constantly arguing or bringing work into the bedroom, then your brain will have a hard time allowing you to relax. The next important change to make in your bedroom is to remove as much artificial lighting as possible including, lamps, phones, alarm clocks, and really anything that emits light. At nighttime if some light is needed, I would recommend either buying a soft orange or amber light bulb (like this one), a salt lamp, or candlelight. Wearing blue-light blocking glasses can also be effective (2). Finally, you want your bedroom to be between 60-68 degrees at nighttime as this has been shown to be the optimal temperature for sleeping. Ideally, body temperature drops naturally in the evening so by lowering the temperature in your bedroom you support this natural body cycle. The gut is a seemingly simple part of our body that most of us think just digests and absorbs food matter. What science is telling us is that the gut actually has a very complex relationship with the rest of the body, especially the brain. For example, there are around 30 different neurotransmitters that can be found in the gut that can actually influence our thinking, mood, sleep, and a lot more. What many people are shocked to find out is that melatonin is found in much higher concentrations in the gut than in the brain (3). I have noticed that many of my patients with chronic sleep problems have some serious issues going on in their gut. Optimizing gut health may be one of the biggest overlooked factors in insomnia and even just brain health in general. Things that should be looked into are leaky gut, presence of pathogens (viruses, parasites, dysbiosis), and food sensitivities. Having extra weight on your body is detrimental to sleep. Those who are overweight are significantly more likely to have sleep apnea, a condition in which interrupted breathing during the night leads to disrupted sleep (4). Next, overweight individuals tend to have poor hormone balance and blood sugar regulation. 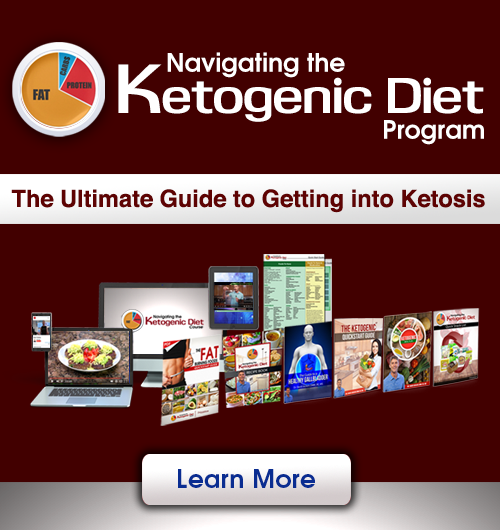 The result is that these people tend to have a massive cortisol spike after meals, which at dinner time is a huge problem because cortisol is a stimulant. Working to reduce bodyweight and consuming a dinner with only a small amount of low glycemic carbs and lots of good fats will be helpful here. As was alluded to in this article already, stress in the bedroom is a sleep killer. In today’s fast-paced society it can feel like we are always wound up and unwinding can be difficult. If you find yourself lying in bed with your mind racing at night, this is for you. Try making a habit of unwinding before you get into bed. Set aside all of your work at the same time every night and spend some time getting your body out of a stressed state. Some great ways to do this are enjoying some relaxing music, light stretching, meditation, prayer, gratitude journaling, diffusing some lavender essential oil, and spending time with family. Another big thing that is a sleep killer is going to bed with an unresolved conflict with a partner. If possible try to resolve conflicts before going to bed and bring them outside of the bedroom until they are taken care of. Humans are creatures of habit. Many of our habitual behaviors occur largely subconsciously and sleep is no different. Have set sleep hours and do your best not to deviate from them. The more consistent you are with getting in bed at the same time (after your unwinding routine of course) the more intuitively your body will know when to start preparing itself for sleep. Some of our most profound recovery during sleep occurs between 10pm and 2am. Try to structure your sleep schedule around these hours and you should notice amazing benefits. Having a solid nighttime routine before getting in bed every night will also help prime your body for sleep over time. The same concept applies to waking up in the morning. Try to wake up at the same time every day and you should notice that you will start to naturally get a boost of energy in the morning. This happens because when your body knows when you are supposed to wake up, it releases a boost of cortisol to do so. So for sleeping and waking up refreshed, timing is key! A poor sleep schedule is a set-up for insomnia! Any type of stressor on the body is sending signals to the brain that things are not safe and this means sleep is not an appropriate response. Although our stress response allowed us to evade predators thousands of years ago, we no longer need to use it in the same way. Our brain receives stress signals and responds appropriately, unfortunately your brain doesn’t know the difference between the stress of being chased by a tiger or something like muscle tension. 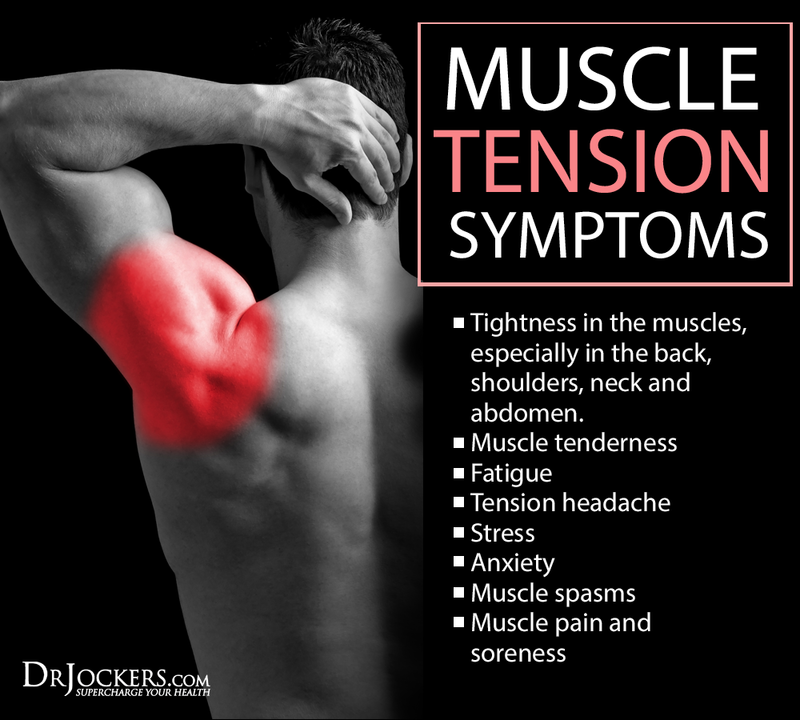 Muscle tension can actually be sending signals to your brain that you are under stress. This is why you may feel so relaxed after doing some stretching or getting a massage, which also can help lower cortisol and anxiety (5). You can try either one of these strategies to loosen up or try a relaxing bath with Epsom salts and essential oils to soothe away tense muscles. There are certain nutrients that play a significant role in helping us overcome insomnia and improving the quality of our sleep. The first and most important in my opinion is magnesium. Magnesium deficiency is far too common in America. Magnesium is used by over 300 processes in the body including the process of forming GABA. 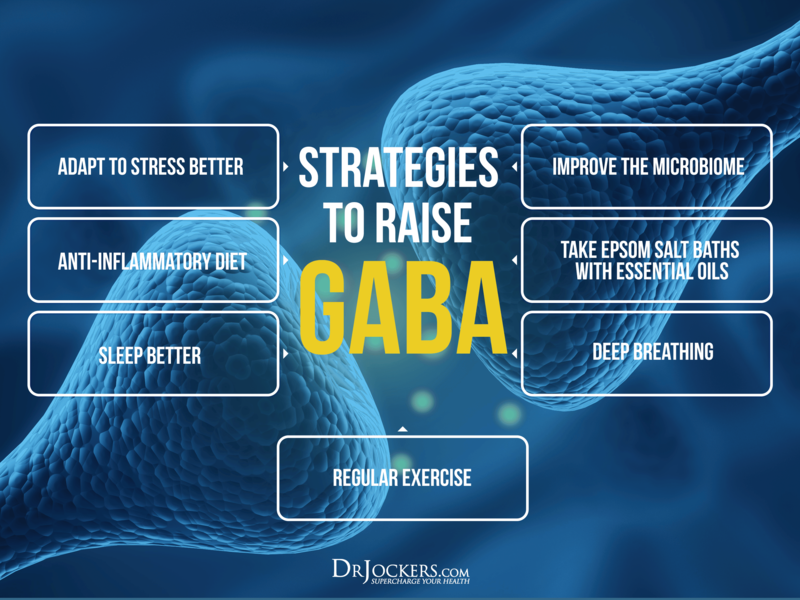 GABA is an important neurotransmitter that tells the brain to calm down. Without the building blocks to make GABA, including magnesium, relaxation becomes very difficult. The next big one is electrolytes like potassium and sodium. Having a proper balance of electrolytes will help maintain the proper transmission of signals from the brain through the nerves. One of the symptoms of electrolyte imbalance is insomnia so make sure you are getting adequate amounts of sodium, potassium, magnesium, and calcium in your diet. Most Americans get way too much sodium compared to other electrolytes. Avocados, leafy greens, cruciferous vegetables and sweet potatoes are some great balanced sources of electrolytes that are low in sodium. My favorite sleep support supplement is our Brain Calm Magnesium, which uses magnesium L-threonate that crosses the blood brain barrier and reduces stress hormone activity on the brain and improves your ability to relax, reduce anxiety and sleep well! Simply put a scoop of this tasty powder in water and drink about an hour before bed! Adrenal function is tied to so many different processes in the body and often is overlooked as the cause of poor sleep. There are a few ways the two are connected however. The adrenal glands are responsible for secreting the stimulatory hormone cortisol. Ideally you have a spike in cortisol early in the morning followed by a gradual decline until you have a spike in melatonin before bed. It is common for people with adrenal issues to have a spike of cortisol at nighttime which can interfere with sleep. On top of that, blood sugar problems are also common in adrenal fatigue sufferers. This is a problem because a drop in blood sugar at night can be another reason why cortisol spikes before bed. If you find that you often wake up around 2 or 3am this could be a blood sugar problem. Ironically, another cause of low GABA levels is actually insomnia or poor quality sleep! 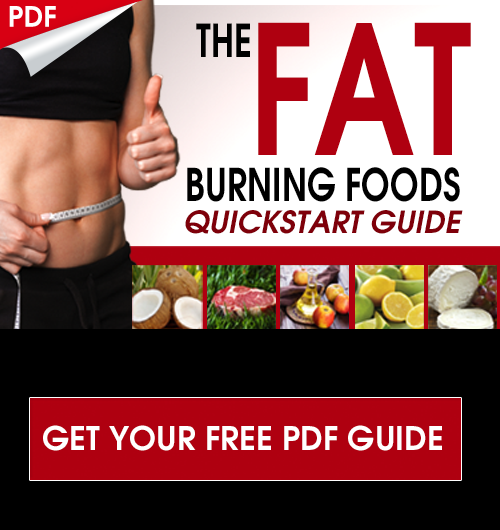 This article here goes into a number of strategies to improve your GABA levels. Sleep is a fundamental human process that is needed for optimal health. I understand the troubles people go through trying to sort out what exactly is going on within their bodies that is keeping them up at night. Insomnia is no fun at all! Hopefully I cleared up some of the ambiguity that comes along with doing your own research. There are often deeper, hidden issues that need to be addressed and in my practice these show up very commonly. If you feel like you are doing everything right and still not getting the sleep you want then one of these could be your problem.